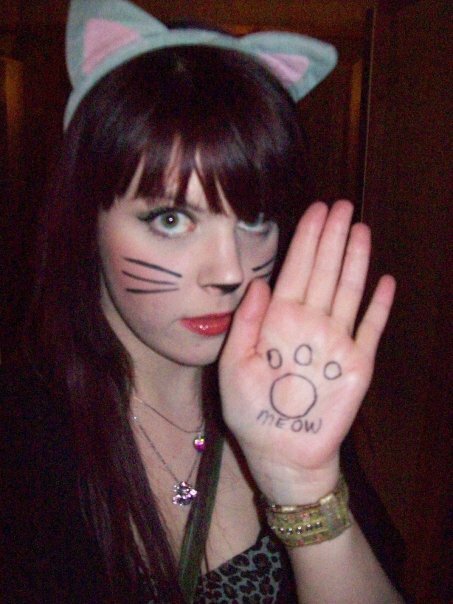 I’ve seen loads of posts lately about Halloween costume ideas and make up. 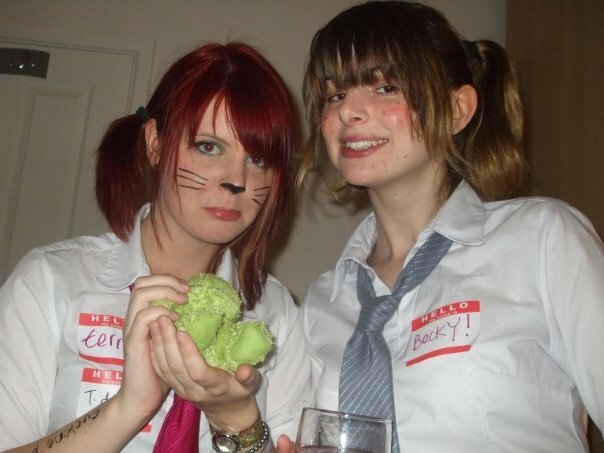 So, I thought I’d share a few of my attempts at fancy dress. I’ve never been the biggest fan of goblins, ghouls and witches and get a bit grossed out by ‘party’ things like balloons and party poppers (no idea why). So when it comes to dressing up, I like to think out of the box and see what things I already have that can be made into something all fancy. 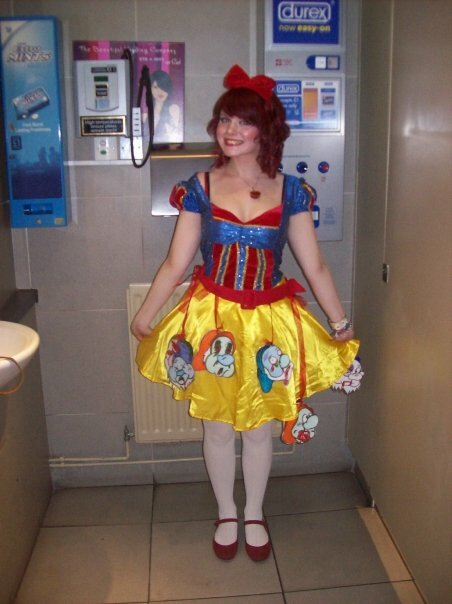 As an example, last Halloween I went out as Pikachu…. 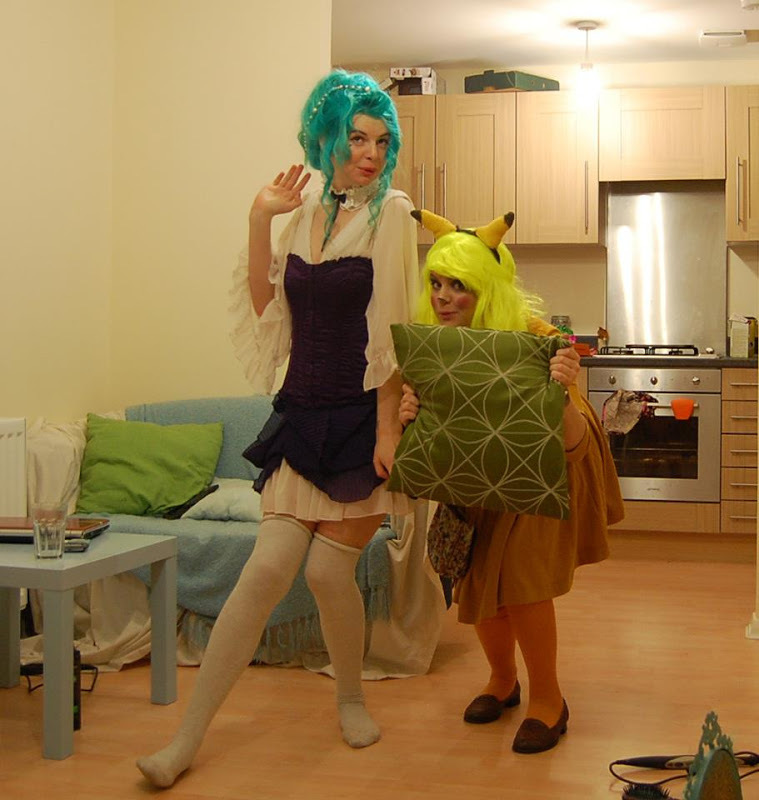 My friend went out as Marie Antoinette, but with blue hair (yes, that is was her real hair at the time!) 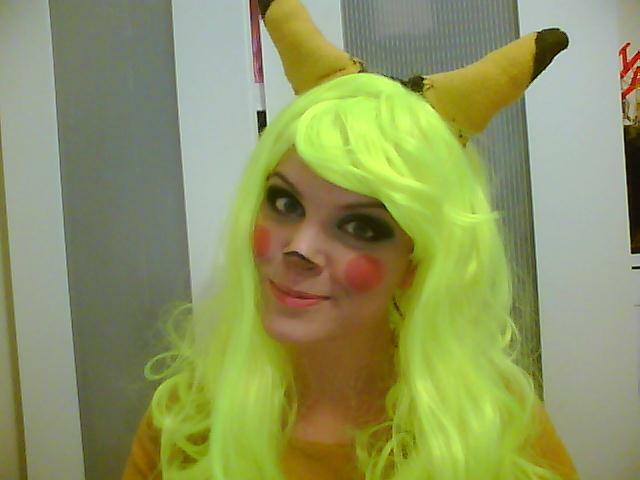 I made my Pikachu ears by stuffing and sewing some felt onto a cat ear headband I had and dressed all in yellow…. 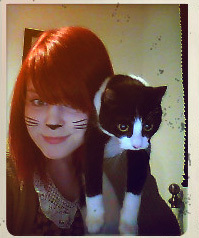 Wigs always come in handy for one reason or another. 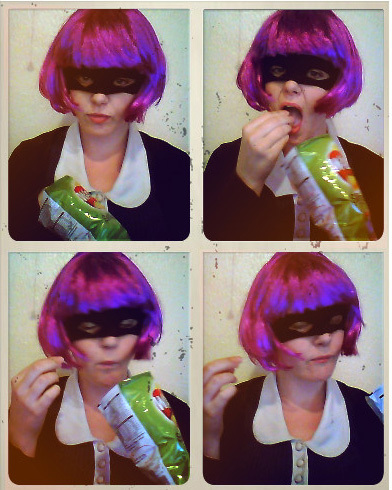 When Kickass came out, I went out as Hit Girl that Halloween. Although I don’t have any pictures of that apart from me eating a nice packet of crisps…. Then for a 1940’s fancy dress opportunity, I went as a air stewardess, my friend went as Anne Frank. A lot of people were asking who Anne Frank was. That’s what you get in Stoke. There she is, hiding. Those glasses with a nose attached certainly were the best £2 I ever spent….. 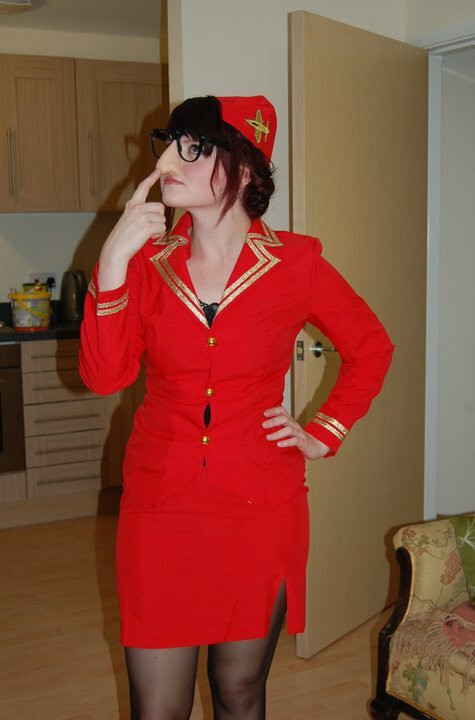 Along with the airplane/air hostess theme there was also this one….Can you guess what it is yet? No? Ok, it was ‘Snakes on a Plane’. 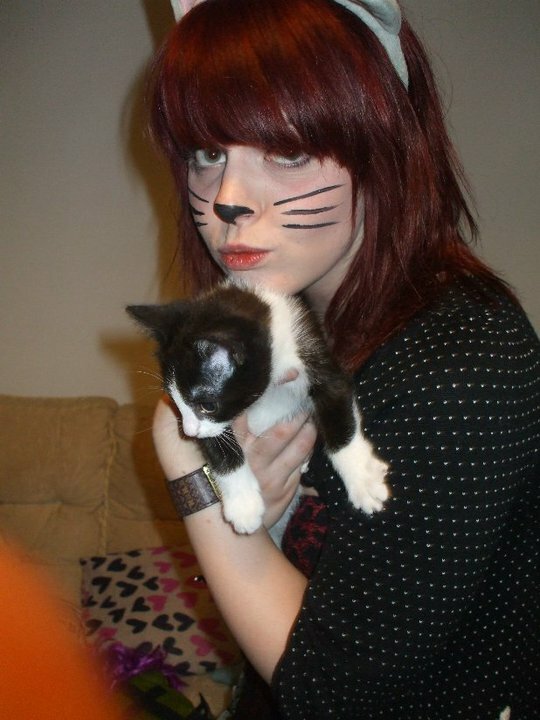 And also, as you can see, cat whiskers are the new black, they go with everything. 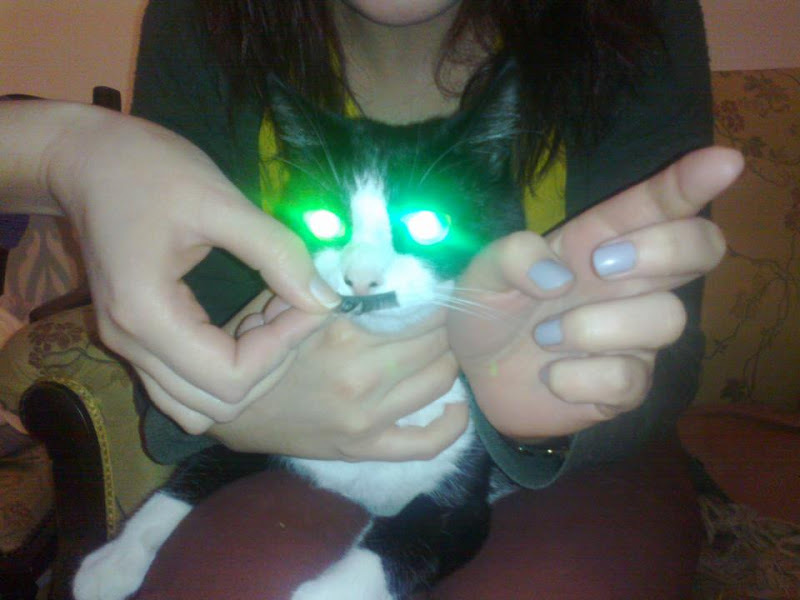 And if the cat feels left out, don’t forget that a false eyelash looks wonderful, particularly for Movember. What will you be going out as this Halloween? I’ve seen an awesome Tudor dress in TK Maxx but it’s £20 and I’m not going to any parties as of yet…Also it seems every time I go out in ‘fancy’ dress no one else does! Oh well, where’s my eyeliner?